Providing the most advanced pathology services in a reliable and professional manner is a nice start. But at Southcentral Pathology, we know that if you have to wait for those services – for whatever reason – then you’re not getting what you deserve and expect. So in addition to our investment in the highest quality equipment and top-notch people, we’ve also invested in something else: More. With 88 immunohistochemical antibodies in-house, we’re able to further characterize cell types for more precise diagnoses. We perform more specialty tests, including breast cancer prognostic markers, flow cytometry, and have a wide selection of special stains. Additionally, we read fluorescence in-situ hybridization (FISH) tests in-house. Combined with our leading autostainer technology, you’ll see more rapid differential diagnoses and tumor typing, without the need to endure additional time and cost to send specimens off to a distant laboratory for the vast majority of cases. With 10 pathologists, you have at your fingertips not only the largest group, but the deepest breadth of knowledge, in local anatomic pathologists. 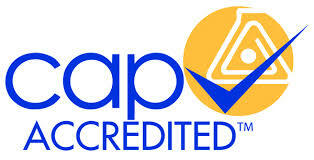 More professionals, with more experience, than any other pathology clinic in Wichita or the surrounding area. That’s Southcentral Pathology. Our pathologists trained at some of the country’s largest and most rigorous pathology programs, including Mayo Clinic, Baylor University, Stanford University, University of Pittsburgh, and the Roswell Park Cancer Institute. We’ve been trained by world-renown experts in the field, and have had exposure to more diverse cases. Today, we’re right here in your local community, applying that experience for patients in Wichita and southcentral Kansas. Having 10 pathologists, 10 histotechs and 4 pathology assistants is only as good as your ability to access them, both easily and quickly. So at Southcentral Pathology, you’ll find them all at one friendly, convenient source. That makes for less turnaround time, while fewer specimens are referred to outside labs.